What do you need and how can you get a good deal? We've got tips for saving big on must-have camera accessories. Every budding photographer has been there. You just bought your first DSLR camera and now you have so much you want to do with it. As you get started though, you begin to discover all these limitations, or your research leads you to accessories that you’re dying to try out. It's at this point that you probably start to realize just how expensive a photography hobby can get. Luckily, we've got you covered with all the essential photography gadgets and accessories you need to take full advantage of that new camera -- at a price that you can actually afford. One quick tip before we get into the good stuff though. When it comes to photography equipment, go for the trusted retailers, like B&H Photo, Adorama, Best Buy, Amazon or the camera manufacturer. Other stores may offer better deals or prices, but they can't always be trusted to provide a quality, authentic products, which is pretty important considering the money you may be spending. One of the first things to purchase after procuring a DSLR is spare batteries for that specific camera. While the best option would be batteries from the original manufacturer, several third-party manufacturers make decent replacements or spares as long as you make sure that your specific camera model is compatible with the battery you choose. And, since some sites sell knock-off batteries under top-tier brand names, be sure to go with a reputable dealer. Batteries from the original camera manufacturer typically cost around $50, though you can sometimes find deals for $5 to $10 off. Third-party batteries run about $20 to $30, though you typically won't be getting the same charge duration as ones from the original manufacturer. If this isn't a concern for you though, check out brands like STK or Wasabi for decent quality batteries. 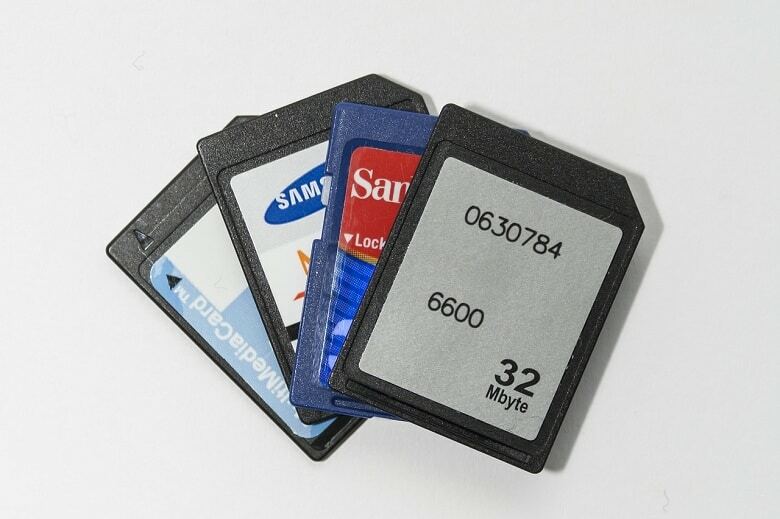 When choosing an SD card, write speed and storage capacity should be your main considerations. Write speeds are how quickly the card takes information from the camera; the higher the write speed, the quicker photos or video taken on the camera will save. You can identify the write speed of an SD card either by it's speed class or UHS rating. For most photographers, a Class 10 (which is equivalent to UHS-1 rated) card will cover almost anything you need to do, including shooting video. However, if you're shooting 4K video, your camera may require a UHS-2 card. Just be sure to check with your owner’s manual to find the appropriate write speed for your camera. A 64GB UHS-1 SD card typically costs around $30 to $40, but we've seen deals in the range of $20 to $25 pop up fairly frequently. The storage capacity you need is going to depend on how you plan on shooting, as well as the format in which you're shooting. If you plan on taking a lot of photographs each session or shooting in RAW format, you’ll want more storage than if you're just snapping pics at a family birthday party. In general, a 64GB card will cover the needs of most hobbyist photographers, while professionals may require more storage. Some cameras take CompactFlash (CF) cards, which allow for quick write speeds, but they also cost a lot more than SD cards. A 64GB CF card has write speeds around 160MB/s, but will cost around $50 to $80, with most deals bringing them down by around $5 to $10. Tripods allow for longer exposure or stationary photographs, and while they may seem fairly basic, there are definitely some differences in low- versus high-quality tripods. Lower-cost tripods may be nicer on the wallet (around $20), but the leg extensions are typically not as sturdy and the head (where you attach your camera) may not be completely still for long exposure shots. Higher-quality tripods typically cost between $70 and $300, but can run upwards of $1,000. You'll get what you pay for though, with stable legs and a tight head for the clearest possible pictures, as well as additional features for shooting video. Discounts on tripods depend on the price range, but deals of 20% to 30% off are fairly common. Ultimately, tripods in the $80 range are a great middle ground for a hobbyist or even burgeoning professional photographer. Big names in lenses, such as Canon or Zeiss, will set you back between $400 and $7,000. Waiting for rebates and sales is essential if you want name brand or top-quality new lenses. While all of the big name camera manufacturers will offer a variety of lenses compatible with their cameras, there are some third-party providers of quality lenses, including Sigma, Tokina and Tamron, who create lenses that work for many name-brand cameras. 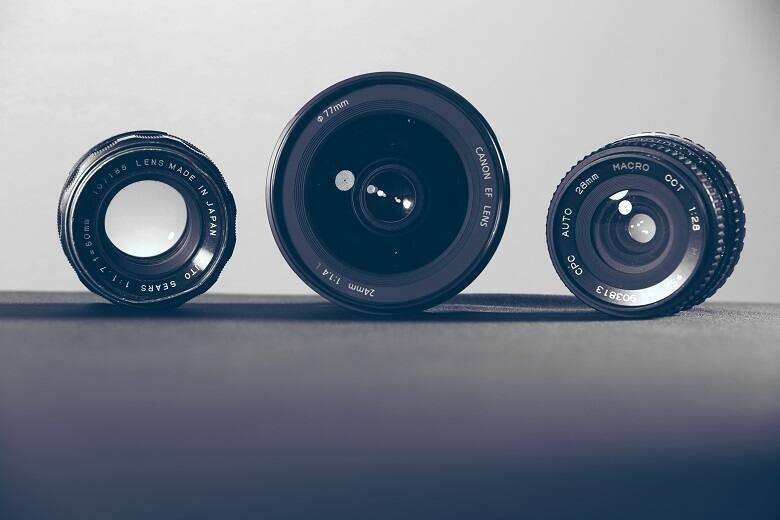 These manufacturers offer a variety of excellent lenses at lower prices than you'll find from original or top-tier manufacturers. Of course, you'll need to make sure a third-party lens is compatible with your camera before buying. Your other option for saving big is going for a refurbished lens. You'll be getting returned or repaired lenses for deep discounts, but this is one area where it's pretty essential that you stick with reputable retailers. Additionally, you'll want to check the policy on returns and warranties. But, putting in a little research could save you a lot. For example, a new Canon EF 50mm f/1.4 lens from B&H Photo has an MSRP of around $400, but we've seen deals for the same lens refurbished by Canon itself for just $269. 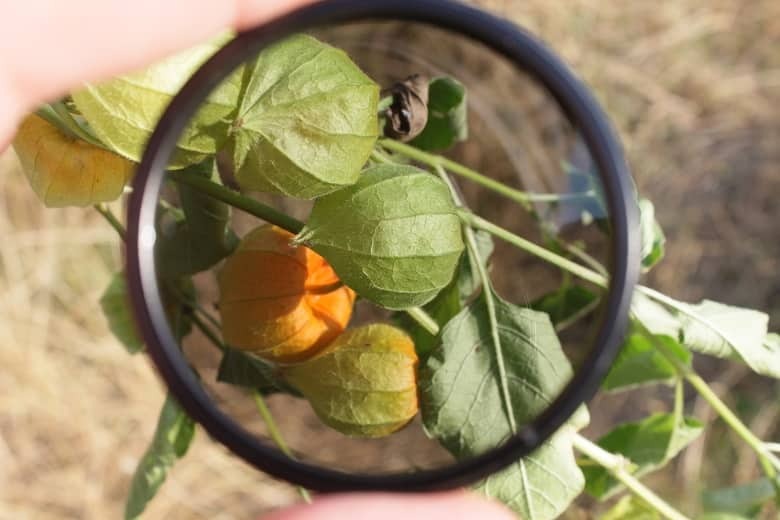 While some people think it’s heresy to put a lens filter on a lens (as manufacturers create the lenses to be used as is) others use them for a variety of reasons. Protective or polarizing filters help with harsh glare, but may also cut down on some of the brightness of your photographs (though that is unlikely in most circumstances.) While cheap (between $15 and $50), they also offer simple protection for the lens itself. Neutral density (ND) filters reduce the amount of light entering the lens, which allows you to adjust the exposure, aperture and sensitivity of photos that may have otherwise been over-exposed. While high-quality ND filters can cost upwards of $100, they can definitely be an asset. Color correction filters offer a way to balance out the color or create color interest in your photograph. Correction lenses will come in solid colors, such as blue or red, and typically cost between $20 and $50. Divers use red filters to counteract the blue-spectrum of the water, while those at higher altitudes may need to add red or orange hues to soften images. Special effects filters can add color effects (such as color to clear grades); they can also be clear, but used to create a bokeh effect. These filters can range from $20 to $400. Some of these effects, like colorization and some exposure correction, can also be created in processing software, however, it isn't always perfect. After you spend a good chunk of change on a camera and various lenses, you’ll want a way to keep them all clean. Luckily, there are cleaning kits for both camera sensors and lenses. Most lens cleaning kits will have an air blower to remove dry dust, swabs and other items. Some may be higher priced due to sturdy carrying cases, but don't be fooled, much of the gear is the same between lens cleaning kits. You can usually find a good one for around $20 or $30. Lens cleaning kits differ from sensor cleaning kits due to the nature of the highly sensitive in-camera image sensors; the former dealing with optics and the latter dealing with electronics. The sensor cleaning kit will have specific cleaning tools and items for cleaning the camera's sensors. Make sure not to use the cleanser on your sensor, as it will ruin the camera. Sensor cleaning kits can range from $20 to more than $100. The lower cost ones are great for on the go, while the high cost ones are more for more rigorous cleaning of sensors in a clean environment. You may have noticed that photos taken at low shutter speeds tend to be just a tiny bit blurry. That’s because no matter how secure your camera is to the tripod, pushing the shutter will still give your camera some shake. Instead of bumping your shutter speed up, try using a shutter release for your next photographic expedition. These brand-specific shutter controls can be had in wireless or wired versions, depending on the specs of your camera. Simple shutter releases can be had for as little as $25, but can be found for more than $200. Higher priced models are often camera-brand (such as Nikon or Canon) or come with timers, interval settings, motion triggering and more. Some cameras come with built-in flashes, but for those that don’t (or for photographers who want more light) there are a variety of options. An on-camera flash usually mounts to the hot shoe and provides a decent amount of light when you're taking pictures in a smaller space, or of objects within a few feet of the camera. Off-camera lighting is usually mounted to stands or can be hand-held (if you have a spare person) and typically provides a greater amount of light to a much wider area. Stand lighting is best for professional shoots in a studio or when you need the studio-quality lighting. On-camera flashes can be had for as little as $50 or as much as $500, while off-camera lighting start around $150. Unfortunately, deals for camera flashes are hard to come by and tend to be modest, usually 10% to 30% off at most. 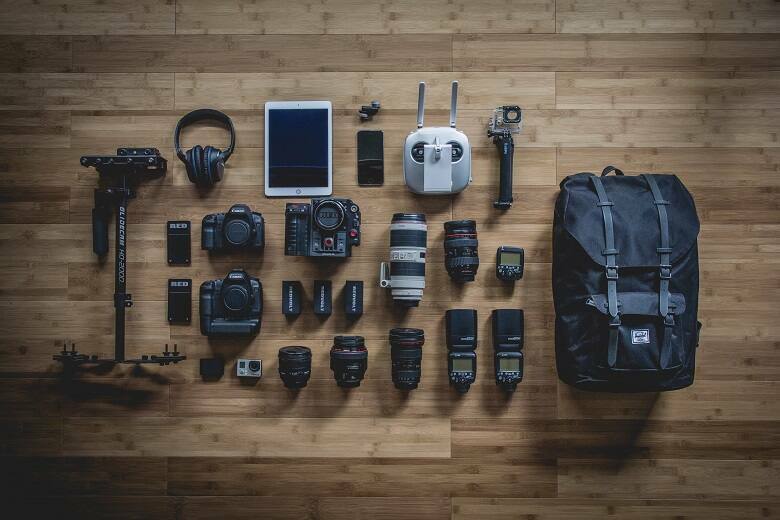 After all that shopping, you’ll definitely need something in which to carry all of your new camera gear, so a quality camera bag is an essential piece for any photographer. Point-and-shoot camera bags will be very small and often less than $15, with good deals ranging from $2 to $10 off. Larger DSLR bags can start as low as $20, however, thousands of dollars in equipment will be stowed in there, so quality is important. Mid-range bags are usually made out of a weather-proof material that is highly durable, like canvas or leather. Prices start around $30, with deals frequently seen for about $5 off. High-end bags can run you hundreds of dollars, but you'll have your choice of material, versatility and style. Plus, discounts in the range of $50 to $100 off are not unheard of. 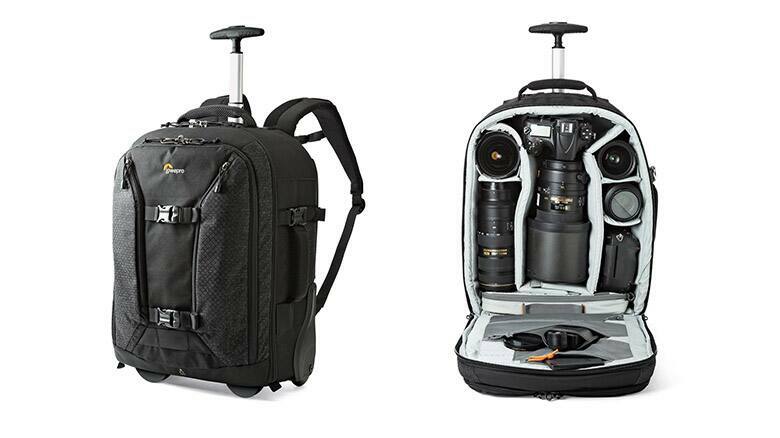 You'll find a lot of choices for camera bag shapes and sizes, too. Some are only big enough for a lens and camera body, while others can fit several lenses and bodies. From messenger bags to backpacks and even large suitcases, the bag you choose will depend on your equipment and needs. Most cameras and computers come with basic photo editing software, however, there are programs that will do a much better job. 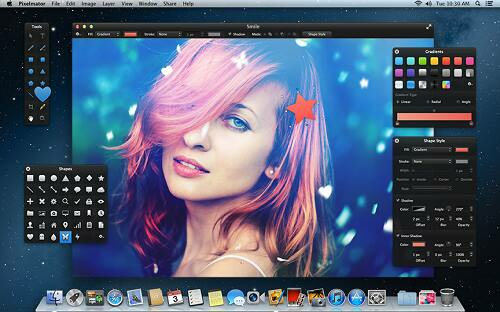 Adobe Photoshop is the professional industry standard and currently costs $9.99 a month or $119 for the year. Alternatively, you could spend about $60 for an older standalone variant, with good deals on the standalone Photoshop Elements 14 being around $10 off. Capture One has a free app for those with Sony cameras, but there's more to it if you spend a little dough. Comparable to Photoshop, Capture One offers professional-level access for $299 (with access for three computers). Plus, there's a free 30-day trial. Pixelmator is a Mac-based photo editor for $29.99 that allows photographers to use professional-grade editing tools for not a lot of money. If you're a particularly savvy Slickdealer, you might even be able to get it for free! Photo editing software will enable photographers to correct the vast majority of issues that pop up, such as over-exposure or under-saturation, along with allowing photographers to completely change their photos by editing out distracting objects or working in different layers of imagery. Beginning a serious photography hobby or business can be overwhelming, but it doesn't have to cost a fortune. Doing your research, shopping in the right places and waiting for the best deal will mean pretty substantial savings in the long run. And don’t forget to set a Deal Alert for items that interest you so you’re always on top of the best savings. Deanna Isaacs is a savings seeker, a classically-trained journalist, prolific gamer and automotive enthusiast. She used to play pong on her greenscreen KayPro computer with fold-down keyboard and 5-inch screen, now she plays PS4 in the rear-seat infotainment systems of vehicles. You can follow Deanna's motoring adventures at TheAutoReporter.com, but stay tuned to Slickdeals for the real-world looting tips.